The United States Postal Service (USPS) sets specific standards, commonly referred to as "4C Standards," for the location, accessibility and configuration of commercial residential mailbox units. Locking mailbox assemblies, common to most residential apartment buildings, must comply with these regulations or jeopardize mail service to the building's tenants. Basic height requirements mandate that landlords position tenant mailboxes between 48 and 67 inches above the finished floor adjacent to the mailbox location. Install locked mailbox systems so that no letter box lock is above 67 inches from the floor or lower than 28 inches, except for parcel lockers, which you can place a minimum of 15 inches from the floor surface. The minimum size requirement for each tenant mailbox compartment is 12 inches wide by 3 inches high by 15 inches deep. Apartments must provide a minimum of one parcel locker for every 10 tenant boxes. 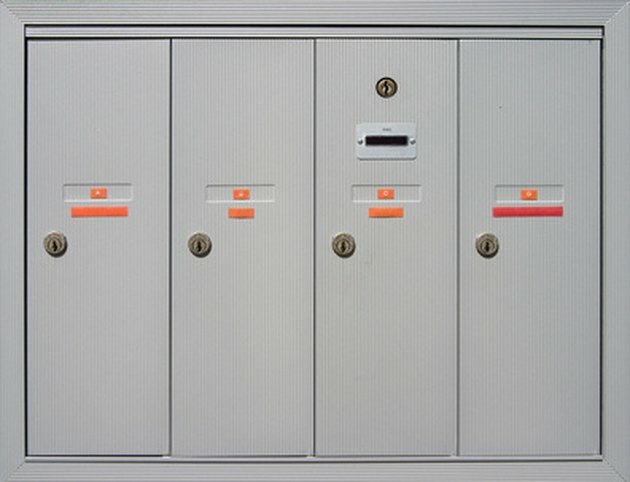 Landlords must mount the authorized USPS arrow lock, which provides access to all of the boxes for the mail carrier, between 36 and 48 inches from the floor. 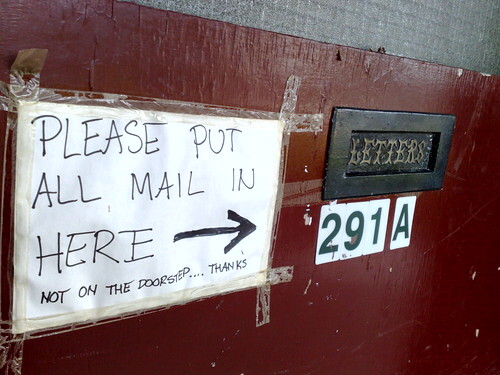 The landlord must provide the carrier with a key to a locked lobby or foyer containing USPS mailboxes. Mark each box clearly with an apartment number and/or tenant name, and it is the building management's responsibility that these labels are kept current to prevent misdirection of delivered mail. Postal carrier regulations prohibit the delivery of mail to a locking mailbox which does not have a functioning lock mechanism or key slot.